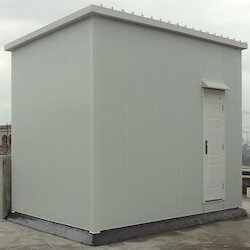 Providing you the best range of prefab shelters, prefab telecom shelters, railway telecom shelter, industrial prefabricated shelter and bts shelters with effective & timely delivery. 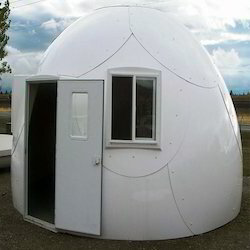 We are the prominent manufacturer and distributor of the wide array of Prefab Shelters. We provide the excellent solution for vivid commercial, residential and outdoor usages. These are made from high-quality materials such as sheets and other components that are stringently tested before being used for production. 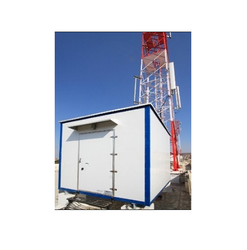 Manufactured using the finest raw materials and highly sophisticated technology, the offered Prefab Telecom Shelters are known to be amongst the finest that are available. Built near telecom towers, these are used for the purpose of controlling several operations. Made available in the market at the best rate possible, its preference in the market is quite high. We are a manufacturer of wide range of Railway Telecom Shelter, we are not only engaged in the business of manufacturing but provides completely Independent and Reliable turnkey solutions for the state of the art Telecom/ Railway Shelters. Our technical and engineering proficiency has granted us expertise in fabricating lightweight and durable Railway & telecom shelters for varied requirements of the telecom & other industry. These shelters are appropriate to withstand harsh climatic conditions and protect sophisticated telecom equipment from moisture, air and dust. These shelters are portable and are lightweight to ensure easy on-site installation. 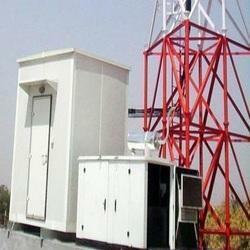 These shelters prove to be a cost-effective solution and can also be customized as per the requirements of our clients. We are one of the reputed manufacturers of Industrial Prefabricated Shelter. These are made from high-quality materials such as sheets and other components that are stringently tested before being used for production. These are available in various designs as per the client's requirements. Our range provides the excellent solution for vivid commercial, residential and outdoor usages. Ensures very low heat transfer coefficient. No deterioration of thermal efficiency over a long time. We manufacture supply and export best quality BTS Shelters. The team of quality controllers keeps strict vigil over the entire manufacturing processes, in order to ensure a defect free range. With the vast and well-connected distribution network, we deliver these shelters within promised time frame at the customers’ end.